Tron: Legacy will be shown in 3D. Ever since it was announced that Daft Punk would be creating the soundtrack for forthcoming sci-fi flick Tron: Legacy, fans have been itching to hear how the duo would tackle the challenge of picking up where Wendy Carlos (composer of the score for the original Tron movie) left off. Well, wait no longer, for after various fakes, we now have some real Daft Punk Tron music to listen to. If you go to the official Tron: Legacy website you can hear a selection of instrumental clips, while Seattle-based radio station The End 107.7 is streaming what it says are six full-length tracks from the soundtrack. As you might expect, these sound considerably more cinematic and moody than anything released by Guy-Manuel de Homem-Christo and Thomas Bangalter in the past, though fans may be disappointed that they're not more explicitly 'Daft Punk', if that makes sense. That said, it's not fair for us to judge the score until we've heard it in its entirety, and in the context of the film. 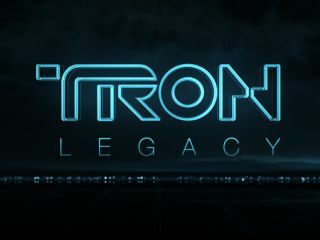 Tron: Legacy is scheduled for release on 17 December 2010, so presumably the full soundtrack will debut shortly before then. If you want your appetite to be further whetted, check out the new Tron: Legacy trailer that was released last week to coincide with the movie's appearance at Comic-Con.